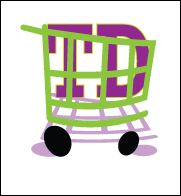 Start an online business today with an online storefront from TDCart. Take advantage of an online storefront and extend your store to the web this shopping season. With TDcart you can easily manage your online store from anywhere you have internet access. Sales events, trade shows, even at home... you have the option to be there when your business needs you to be. Visit our sample store at www.tdcart-sales.com and see what you're missing. TDcart is an easy to use e-commerce solution designed for fast, easy setup with plenty of power and versatility to present your products on the web. Affordable for nearly any budget TDcart has low cost of ownership making it a great value for small businesses that need to expand to the internet but don't have the monthly budget to do so. Easy to use "Maintenance" screens almost guide you through the process of putting your products online. Create departments and categories to build your navigation menu. You can optionally set the display order for your departments. Create shippers and shipping rates that are automatically calculated at checkout. Add special shipping charges to individual products. Offer "free" shipping after a dollar amount is reached. Tax Maintenance allows you to define taxes by state. Customer Maintenance allows you lock or unlock your customers and provides other information such as when they became a customer. Search Engine Optimization (SEO). TDcart allows you to edit those areas of the web site that crawlers such as Bing, Google, and WebCrawler use when listing your site. Create your keywords, Title, and Description for each page on your storefront. We also have "crawler" exclusive code built into your store that makes it very easy for crawlers to find and search your store. Upload images from your computer - TDcart will resize and resample the image and automatically link it to your product display. Customizable Home, About, and Contact pages. You may choose which of these pages to display or display none. You can easily edit their content using our online page editor whenever you decide. This editor lets you access your storefront's pages from anywhere you have an internet connection. You don't have to pay us to modify your storefront content. Add custom formatting to your content for additional flare. Theme selector allows to choose from several page themes (we're adding more all the time). Safe, secure payments with PayPal® - we use PayPal, an industry leader in online payments. Your customers make payments using one of the most recognizable payment services in the world. Invoicing for payment by mail is also an option. Our goal is to not only make it easy for you to list your products but also make it easy for your customers to find them. Intuitive, industry standard screens make shopping a pleasant experience for your customers. Browsing is easy with your custom built navigation that is created automatically as you add your inventory. Powerful searching that allows your customers to search in all departments or only one. Keyword searching that supports boolean operators "and", "not", and "or" allow your customers to narrow down their results and pinpoint your products. Product display with three ways to view product detail (click image, click description, or click the "more" link). Product detail displays a larger image and more information about your product. Also below the price is a notice of any special shipping charges that may apply. Product detail includes a section for "suggested items" that is built for you, automatically as your customers browse your store. Our exclusive "Quick Group" feature allows you to create up three additional ways to group your products. Our "mini cart" display is always present so your customers always know what's in their shopping cart. I have nearly no computer experience at all and I was able to get my site up and running in a very short time. -- "Dave Mitchell"
I just started adding my inventory - the page practically built itself. -- "Denise"
One time setup fee of $89 and just $29 per month after that. List as many items as you want and sell them with no hidden fees or commissions. There is no contract - cancel whenever you want. Sign up for 3 months and we'll wave the setup fee.